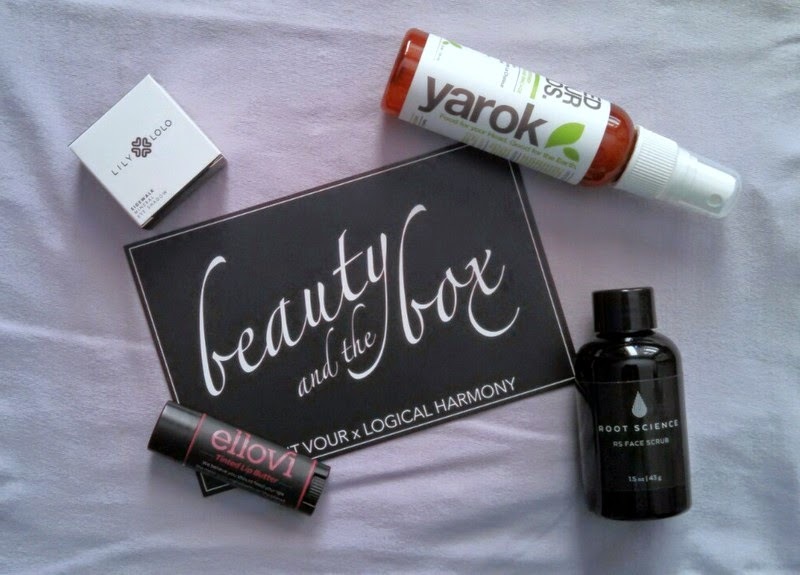 The September Petit Vour beauty box was co-curated by Logical Harmony, who also did the July box. When I heard that they were collaborating again, I was hyped. Based on some hints on Instagram, I had an inkling that there would be a Yarok product featured in the box. I was expecting that to be my favorite, but I got a big surprise when I opened the box. 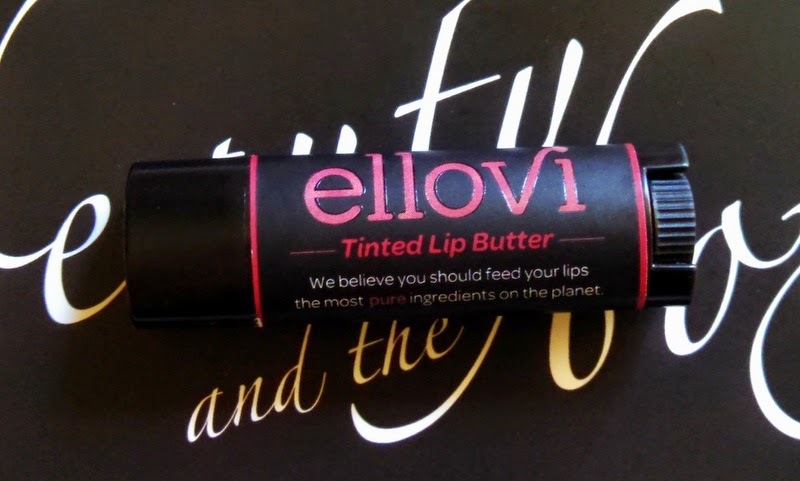 My favorite by far was the Ellovi tinted lip butter. I’m a girl who loves her lip products (as you may have noticed from my review of the Mi-Me lip butter). I was running out the door when my package arrived. Usually I like to open things when I have time, but I was too excited that day. I opened the box, and in no time at all, I was walking back out the door with a beautiful tint to my lips. Since then, it’s always been in my pocket or purse. Yarok is a brand I’m familiar with. 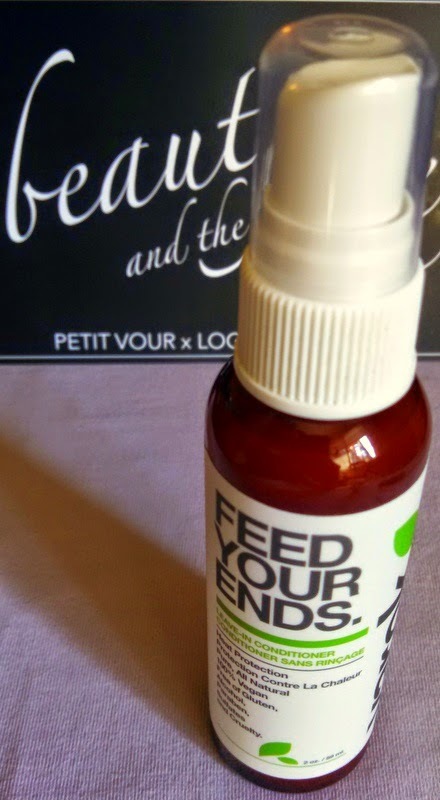 I use their Feed Your Do styling whip on a fairly regular basis. Feed Your Ends is their leave-in conditioner. This came at such a great time because I’ve been dealing with some really dry ends. I’ve never had dry hair, so I have no idea what is causing it. I haven’t even used conditioner in ages because I never needed to. Even though I’ve recently purchased conditioner, I was happy to try this product, too. I’ve used it a couple times and think it’s great. I especially love that I’m getting some added protection while I’m blow-drying my hair. Now that it’s getting colder and I’ll be needing to blow dry more regularly, I’m glad I have this product. In addition, it works great as a detangler. My hair can get crazy tangled, so I’ve been using it for that as well. Lastly, just like the Feed Your Do, the blend of essential oils smell really good. It’s an herbal citrus scent. I really like it. 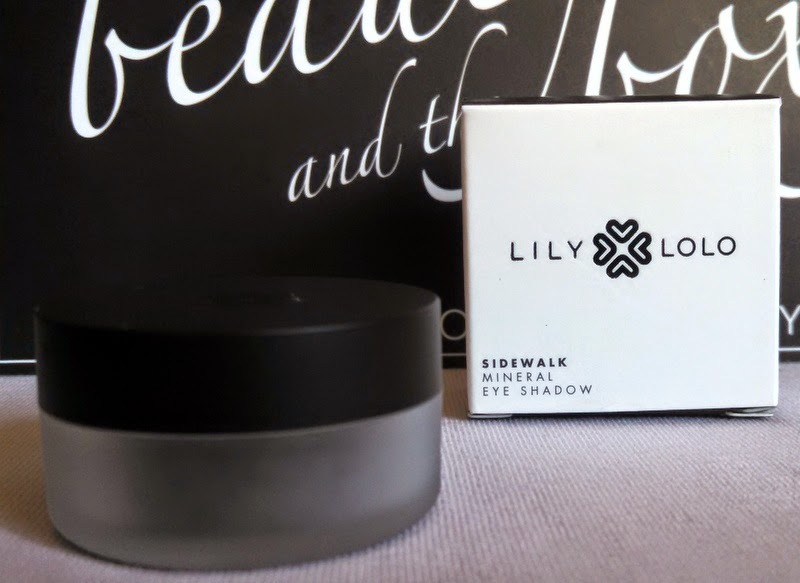 The Lily Lolo mineral eye shadow I got was Sidewalk, a matte gray. I’ve used it a few times, and really liked using a small amount blended in to my eyeliner to create a smokey eye look. Not all of their products are vegan, so if you’re interested in buying something, make sure you check it first. The last item in this box was the Root Science face scrub. All you have to do is sprinkle some in the palm of your hand, add a few drops of water, and mix to form a paste before applying. It smelled really minty and felt really tingly. It was really refreshing and left my skin glowing, but an hour or so after using it, I noticed an uncharacteristic sheen on my face. It wasn’t the biggest deal, but it did leave my skin somewhat oily after subsequent uses as well. On the website, they say it is for all skin types, so it’s possible my skin is reacting to one of the ingredients or it’s just not the perfect match for my skin. Despite that, I think this company is worth checking out. I’m interested in trying out their Youth Serum which was included in some of the other boxes. 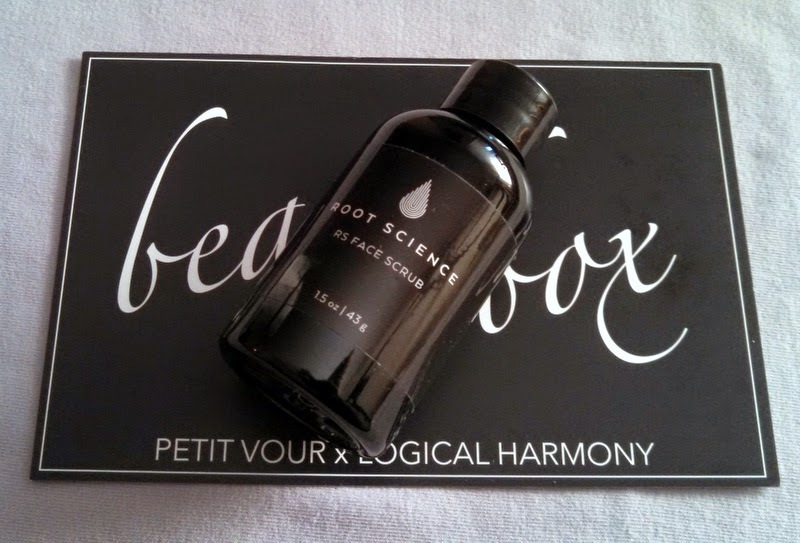 Again, I have nothing but good things to say about the Petit Vour beauty box, and I definitely think that they should make this collaboration with Logical Harmony a regular thing. I know, I know. Broken record. But, what can I say? I really love this box. That's interesting about the face scrub. Did you ask Root Science about it? Mine hasn't done that to me, but maybe it's different for each skin type. Their mask is amazing too, btw! I haven't asked them, but perhaps I should. I held on to my sample hoping to try again sometime. I did love the initial result. I'll have to put their mask on my “must try” list. I've seen some other people really loving that product. Thanks for the recommendation!